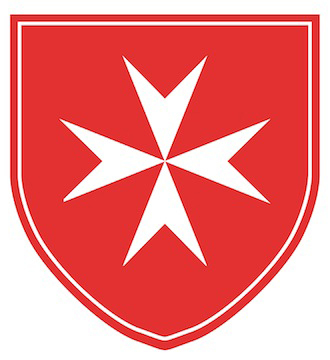 The Malta Justice Initiative, MJI, is a national work of the Order of Malta. Its purpose is to educate and inform the public about the failings of our criminal justice system and the need for reform that will yield a more efficient, effective and just criminal justice system for the betterment of all. In an effort to achieve this, MJI provides the services below. Individual–Because of its knowledge and understanding of services available throughout the state, MJI provides assistance for formerly incarcerated people and their families by responding to inquiries for help when citizens are returning to their communities. MJI also encourages service providers and employers to assist the formerly incarcerated. Legislative and Policy–MJI keeps abreast of criminal justice matters in Connecticut and throughout the country. MJI supports relevant legislative and policy reforms and reaches out to its cadre of associates through a robust Constant Contact approach in order to enlist their support as well. MJI engages in public speaking events at a variety of venues throughout the state in order to educate the general public about the criminal justice system in Connecticut and the rest of the country. The production of The Justice Imperative, along with its distribution across the state, positioned MJI as the thought leader in Connecticut with regard to understanding the criminal justice system, how and why it came to be what it is today and how and why it can best be reformed. One of the major obstacles for formerly incarcerated people is lack of gainful employment. Lack of employment feeds many of the causes for people to recidivate (inadequate housing, inability to pay child support arrearages, poor health care, untreated substance abuse and mental health conditions, alienation from family and a general erosion of self-esteem). By conducting an in-depth and probing survey of employers of all sizes, MJI has learned more about the barriers employers deal with as they consider hiring a person with a criminal record. MJI hopes the information learned from the Malta Justice Initiative Employer Survey will lend itself to a frank and relevant conversation opening the door for more people to have a realistic opportunity for legitimate work. It is MJI’s experience that when people are informed and educated to the realities of the current criminal justice system and its collateral consequences, they are sensitized and willing to alter their thinking, actions and policies accordingly. MJI believes this can be the case with employers. MJI believes that many businesses make perfunctory decisions about employing those with criminal records. MJI wants to shift that paradigm and create opportunities for employers to think more clearly and deeply before making those hiring decisions. It is MJI’s intention to work with the DOC, the DOL and OPM to better equip people serving time to participate in appropriate vocational training and skill building prior to and following release. In 2015, the DOC opened a “reintegration” unit at the Cybulski Correctional Facility. Its purpose is to equip people to re-enter their communities better educated and more ready to be productive participants in their families, work places and communities. MJI intends to support those efforts of the DOC and encourage more allocation of resources to these kinds of positive interventions. For more information on the Malta Justice Initiative, please contact Nick Yanicelli, KM, President, at nyanicelli@outlook.com or John Santa, KM, Chairman and Founder, at jsanta@johnsanta.com.